The Board of Directors of The Kent Grand Organ is pleased to present this progress report as we begin Phase III of our fundraising efforts. We have come a long way in realizing the dream of the Kent Grand Organ at Kent Lutheran Church. We invite you to celebrate with us! The KGO can provide a musical arts opportunity for artists to hear and share their music in a new way building a stronger sense of community within the city and region. In 2015 a larger group “Friends of the Kent Grand Organ” created an eleven-person Board of Directors (7 from Kent Lutheran Church and 4 from the community). After being approved by the Church Council, the Board began meeting monthly. It filed for non-profit status with the State of Washington. Application is underway to receive 501(c) (3) IRS status. By-Laws and “A Memorandum of Understanding” were approved by Kent Grand Organ Directors and Kent Lutheran Church Council. 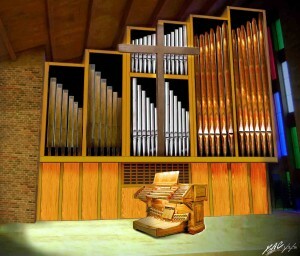 The congregation raised enough funds to bring the pipes and reusable parts of the organ from Massachusetts and provide storage in Kent and install the interim organ. Total funds raised and expenditures for Phase I: $ 66,512. Considerable volunteer labor was given in moving the pipes, storing them and getting them prepared for inventory with Marceau Pipe Organ Builders. The church’s Capital Building Campaign supported a number of structural items for repairing and upgrading the facility. The space is prepared for serving the congregation and also for welcoming the community as they appreciate the musical arts presented by the anticipated Kent Grand Organ. Goal: to raise $100,000 to take advantage of the generous offer of the Whalen family to match their $100,000 challenge gift during calendar year 2016. 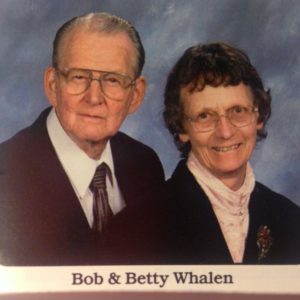 The challenge honored the memory and long-time commitment of Betty and Bob Whalen to the music ministry of Kent Lutheran Church. Cash gifts and fulfillment of pledges by November 1, 2017 enabled us to receive $ 116,144 – which met the $100,000 challenge-match by Jane Wilson and Paul Whalen. We shared in a Dedication Service for these funds in worship on November 19th. In this fundraising phase we raised $6.000 from members of the community and a $5,000 gift from King County via councilman Dave Upthegrove. Total funds raised Phase I and II – $284,656! Goal: to raise $ 350,000 from south King County community members/businesses and foundation grants. These funds will complete the installation of the organ and begin to create an endowment for future programs and upkeep A KGO Grant Task Force is being formed (Claudia Otey, Judy Woods, Mike Bentz, Marino Correia, Marvin Eckfeldt). A seminar is scheduled with Peter Drury, seasoned nonprofit strategist and fundraiser. A strategy will be developed to reach out for gifts from community members and businesses (early 2018). We welcome the names of potential community donors you may know (outside the congregation). A PowerPoint program will be created to solicit gifts from Kent service clubs. An aggressive grant writing effort will be developed to approach as many foundations as possible. We expect to be submitting grant applications after January 1, 2018. Formal solicitation (such as a capital campaign) from KLC members will occur in Phase IV if needed. Along the way we will welcome any designated gifts in Phase III, including those that can be matched by an employer.